Wendy Bolt leads this group which, once a month, travels to notable gardens within easy reach of Kingsbridge by car. Some gardens we have visited during 2015 onwards are listed in the page opened by clicking the 'Gardens Visited' link on the right. The Questionaire covers members' comments and suggestions during an indoor meeting in late 2014. The group is full and there are people on a waiting list. No new members are being added to the waiting list at present. Occasionally I am able to open the visits to the waiting list if the visit is under-subscribed or has no maximum limit. Tuesday 26 February – Avenue Cottage, Ashprington (NGS) - Winter flowering shrubs, trees and snowdrops. N.B. The list is full and there is a waiting list. Tuesday 19 March – Cotehele (Nat. Trust), St Dominic, Tamar Valley is re-booked to see their heritage collection of daffodils. There are currently 35 on the list which has a maximum of 40 assuming we get the two tours I have booked, so let me know if you want one of the remaining places. Tuesday 23 April – Coombe Meadow, Ashburton (NGS) – Bluebells, Magnolias, Camellias, Azaleas in an old garden that is being restored – There will be a maximum of 20 for this visit. Tuesday 14 May - Andrew’s Corner, Belstone, nr. Okehampton (NGS) This garden was the subject of Robin Hill’s talk at the Methodist Church in November. They can accommodate a big group so there will be no maximum. 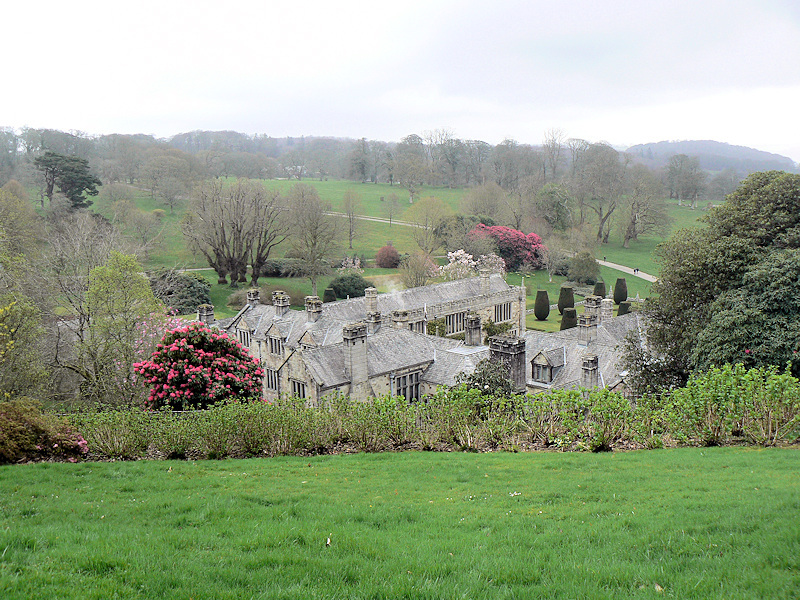 Tuesday 11 June – Westerncombe, South Pool – This private garden has been recommended by one of the group. It is situated on the estuary bank and will be seen at its best in mid summer and at high tide. Tuesday 2 July - RHS Rosemoor, Great Torrington – we will join the Gentle Garden Group for this all day visit. Tony Westlake has booked a 49 seater coach so we can take a big group. Saturday 20 July – Hole’s Meadow, South Zeal, Okehampton (NGS) - prairie planting, herbs and orchard They only take groups in July but do not open on weekdays hence the proposed date. Tuesday 3 September – Bickham House and Cottage, Kenn – dahlias, late flowering perennials, gravel beds – They can take a biggish group of 20-30 people. Tuesday 15 October – Summers Place, Little Bowlish, Whitestone (NGS) - ornamental orchard, autumn colour – They can also take a biggish group of 20-30 people. Tuesday 19 or 26 November – probably a talk on Coastal Planting at The Methodist Church but NOT YET CONFIRMED. Tuesday 10 December – Annual Review Meeting back at Avon Mill Café assuming they will have us again. Please put these dates in your diary and look out for emails with the full details and an opportunity to sign up nearer the date of each visit. Remember to bring your diary to the monthly meetings so you can also sign up there for forthcoming visits. I hope this programme will provide a variety of garden experiences through the year. Several of them are new to me but sound very promising. I look forward to seeing many of you on the visits. Contact Wendy on Tel: 852529 or click Garden Appreciation to email.